SOLVER Pipe II is an atomic force microscope that can be used in industrial settings to perform in situ, non-destructive testing. In various industrial plants, prediction and early warning of the degradation of engineering materials used in severe conditions is a high priority activity. The potential to conduct diagnostics on the metalwork in a plant without going offline is specifically of utmost importance to industries in the processing, energy, and other sectors. The existing diagnostic devices can find out degradation in operational pipework and related equipment only after its condition has already worsened to a dangerous stage of deterioration. SOLVER Pipe is an innovative, high-precision, and reliable diagnostic system that enables plant managers to be better able to reduce risks and accomplish incident-free operation through scheduled maintenance and anticipatory control of materials and equipment used in their industrial facilities. 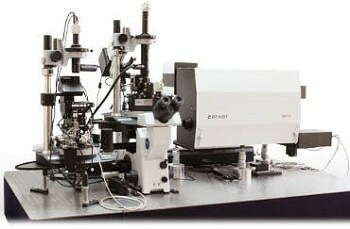 The equipment performs imaging at a broad range of magnifications while staying online, thus more comprehensive information related to the material surface can be obtained than data acquired using alternative techniques. 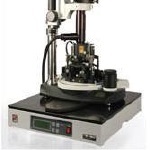 It is possible to carry out simultaneous measurement of the material’s hardness in the analyzed area. The generated AFM image is a digital matrix from which statistical/mathematical information and quantified characteristics can be extracted. 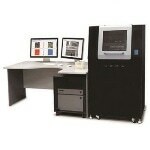 The digital image also allows the use of pattern recognition algorithms for automatically identifying the defects. This not only offers important diagnostic information to plant managers for their operational planning but also creates new possibilities for ascertaining the characteristics that cause the degradation of the operational life of the materials. 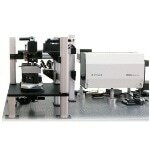 In combination with the latest Nova PX data processing software and the PX Ultra controller, NEXT offers the most comprehensive suite of AFM and STM techniques for beginners as well as advanced users. NEXT offers more than 60 modes and techniques in basic configuration. The smart algorithms and predefined settings in the SOLVER Pipe software enable fast configuration and operation in all advanced modes. The software carries out processing, measuring, and presentation of results with visibility of all captured data and high information content. 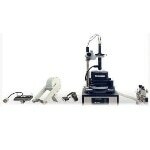 SOLVER Pipe provides users with a broad range of electric measurement methods, such as Kelvin Probe Force Microscopy with phase or amplitude modulation, Electrostatic Force Microscopy with frequency and amplitude modulation, Piezoresponse Force Microscopy, and Spreading Resistance Imaging. In order to carry out topography measurements, amplitude modulation, contact, HybriD mode AFM, and frequency modulation techniques can be used. 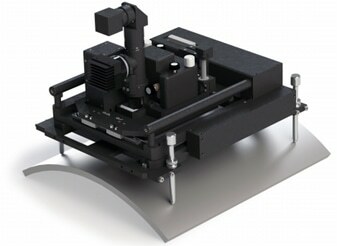 An added feature of the SOLVER Pipe is the ability to perform nano-mechanical measurements. Specifically, Pipe SOLVER enables the numerical values of Young’s modulus to be obtained using standard AFM cantilevers. SOLVER Pipe can be used to carry out MFM measurements by using line-by-line, two-pass technique, and frame-by-frame analyses. Using the SOLVER Pipe advanced software, the user can analyze the obtained data and present it in a form appropriate for practical use by an expert in-house technician. Digital images can be analyzed in an automated manner, thus providing the structural characteristics of the tested materials, such as the potential to select grains and pores and to develop images of extended objects. The condition and suitability of the material for further operation can be exactly predicted using the images produced by SOLVER Pipe. The presented information includes distribution of grains by size, the grain and state boundaries, and pore distribution analysis (by size, volume, and area). The system also generated optical images of high magnification, thereby enabling simultaneous comparison with the acquired AFM data. 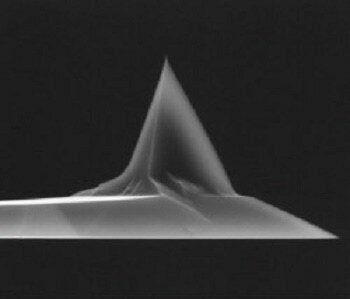 Acquired data representation: AFM images of defects and line profiles of imaged sections. Acquired data representation: 2D and 3D images of 5 х 5 µm scans of the analyzed surface, histogram of heights distribution, surface statistical parameters. 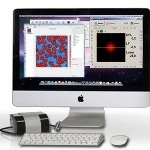 Data processing: AFM image, defects highlighting, defects distribution by volume, the distribution of defects in an area. 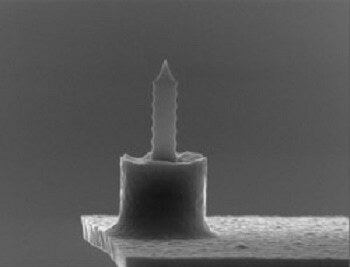 Defect recognition: Result of highlighting – 71 pores in metal (alloy P91, tested on fatigue + creep to failure). 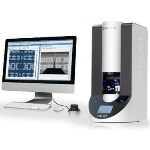 Scanning of large areas: obtaining 200 µm scan through combination of nine 80 µm scans. Oil Industry: Oil refinery, Raffineria di Roma, Italy—The SPM analysis used for in situ, direct, non-destructive testing in industrial environment. Steam Turbine Service: Steam turbine servicing, Poland—SOLVER Pipe used for testing a steam turbine rotor. Power Utilities: Supercritical electrical power plant, Philippines—Fastening of SOLVER Pipe on a main steam line pipe. 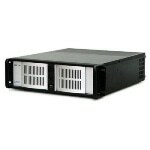 Equipment Analysis: EDF, Fontainebleau, France—Using SOLVER Pipe for offline analysis of plant components.